Until recently, I’d never met any of our neighbors in Seal Hi-Rise, a public housing apartment complex at Territorial and Raymond avenues in south St. Anthony Park. Seal is home to many Minnesotans who have emigrated from other countries, including Somalia, Ethiopia and Eritrea. They are joined by other East African immigrants in the townhouses east of Hampden Park Co-op. Although I’ve lived just a few blocks away for years, I’d only visited Seal to vote on Election Day. But this spring, wanting to go a step beyond putting up an “All Are Welcome Here” sign, I joined a few women from Transition Town — All St. Anthony Park to find a way to make contact with the East African residents at Seal. We found we are welcome there. In early March, resident Ali Osman met my husband, Jay Dregni, and me for coffee at Seal. We talked about our common interests, including travel, politics and public radio. Ali emigrated from Somalia to Houston 30 years ago, and to Minnesota soon after, drawn by job opportunities. He spoke no English upon arrival, but found the people very friendly and willing to speak with him. After years of driving a taxi, Ali now drives for Uber. An estimated 87,000 to 110,000 Somalis now live in Minnesota, the largest population in North America. The current diaspora began around the time Ali left Somalia in 1987, prompted by severe drought, political infighting and foreign involvement, including that of the U.S. By 2011, half of Somalia’s 12 million people again faced severe food and water shortages due to lack of rainfall. Fighting often interrupted relief efforts. A quarter million men, women and children had died of starvation and even more fled to neighboring Kenya and Ethiopia. Many of Minnesota’s Somalis lived in refugee camps in those countries for years while awaiting resettlement to Europe and North America. In April 2016 Somalia, led by a new president, signed the Paris Climate Accord. Meanwhile, climate volatility continues to devastate the country. Drought interspersed with torrential rains and flooding has hampered progress to restore trees, crops and livestock—the livelihood of 70 percent of Somalis. Groups, such as the United Nations Development Program, have helped build earthen dams to retain water for drinking and irrigating and to prevent a new wave of environmental refugees. 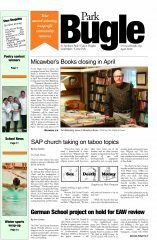 Later in April, a south St Anthony Park book group got together at Seal with immigrant residents. Everyone shared their own stories of how they came to live in St. Paul—with journeys ranging from Somalia and Ethiopia’s Oromo regions to various parts of the United States. This summer, we plan to continue to meet, to chat, share food and perhaps play bocce ball, croquet and East African games. How do we expand the “all are welcome here” motto into an active practice? We found it takes going beyond our comfort zones. For everyone, it could involve trying a new cuisine or shopping district, teaching or learning a new language, mentoring youth in school or visiting the Somali Museum of Minnesota. And all are welcome to join the gatherings in South St. Anthony. You can find out more about them at the Transition Town ASAP website, www.TransitionASAP.org. Want to learn more about the Somali experience in Minnesota? 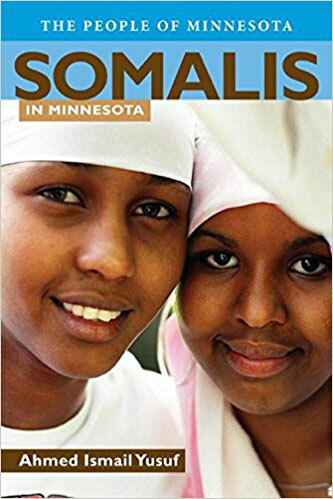 Read Ahmed Ismail Yusuf’s book Somalis in Minnesota, which you can find at Micawber’s in Milton Square; the Somali Museum of Minnesota, 1516 E Lake St #011, Minneapolis; the Minnesota Historical Society bookstore, 345 W. Kellogg Blvd. 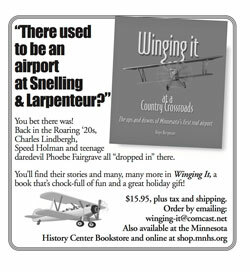 ; and many other local booksellers.